Is it just us, or is 2019 already flying by? 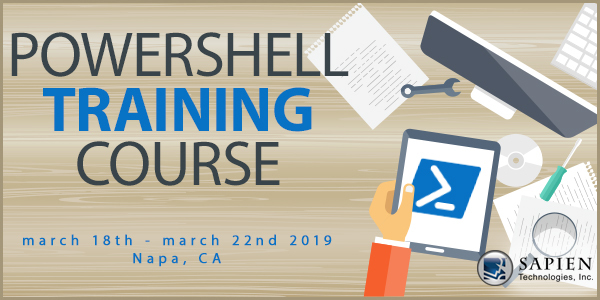 Our PowerShell Training Course with Jason Yoder is fast approaching. We have a FEW seats left, and don’t want anyone to miss out on this great opportunity! To get your hands on a ticket, contact SAPIEN Technologies, Inc. now!